Yorkshire Spas – there are some fabulous spa hotels in Yorkshire, many I have been lucky enough to visit. I have separated my list into four sections; spa days North Yorkshire, spa days South Yorkshire, spa days West Yorkshire and spa days East Yorkshire. What I found was that the majority of luxury spa hotels in Yorkshire are in North Yorkshire, with West Yorkshire a close second. Many of the spa hotels mentioned do spa breaks as well as spa days, so look at each hotels website for special offers and deals. I have visited the spa at The Grand, York a few times now and always enjoy it. The facilities include a good sized pool, large jacuzzi, steam room and sauna. There is also a nice relaxation room with four beds and magazines to read. 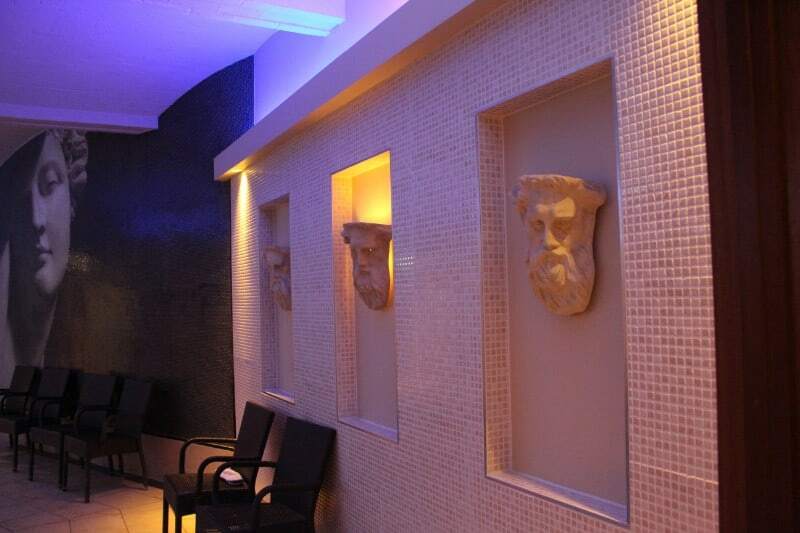 A full menu of treatments are available in the treatment rooms. They also offer an excellent value Spa and Afternoon Tea package. Click here for my full review of The Grand, York Spa. 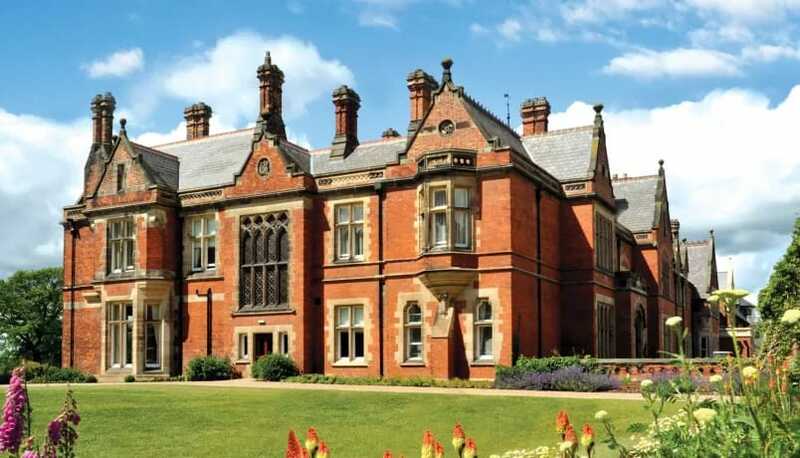 We recently stayed at the fabulous Rockliffe Hall and had a great session in their spa. They have a large swimming pool as well as a large hydro-therapy pool that is available to day spa guests and hotel guests alike. However, they also have an exclusive ‘Spa Garden’ that even the hotel guests need to pay separately for. This has an outdoor, heated infinity pool, outdoor hot tub and a large sauna with a fabulous glass wall that gives a fantastic view of the grounds beyond. There are heated loungers as well as a relaxation area. Click through for my full review of the Rockliffe Hall Spa. The Verbena Spa at the Feversham Arms has to be one of my favourite Yorkshire spas. They have an outdoor swimming pool and hot tub, a heat experience area with aromatherapy room and steam room etc. They also have the most luscious relaxation area, with huge squishy sofas where you can sit and relax post-pamper. The hotel itself is lovely and if you turn your spa day into a spa break then I would very much recommend it. They do a splendid afternoon tea too! If you sign up to their email list they email special monthly offers and deals, so that is worth doing. 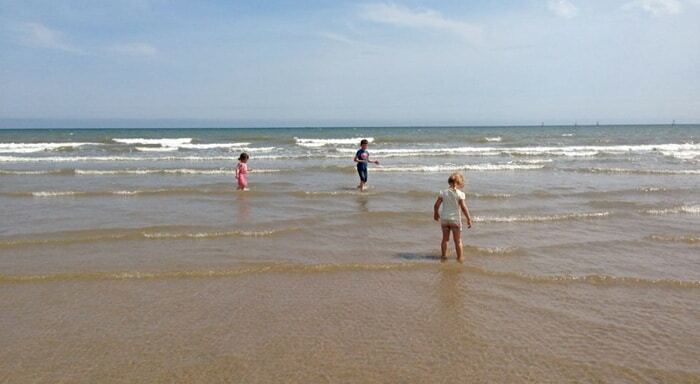 Ideal luxury spa breaks Yorkshire. From their website: The Verbena Spa relaxation lounge is defined by plump cushions, sofas you sink into, and views across the south facing terrace garden. The spa houses six single treatment rooms and one couples room, in which guests can experience a tandem therapy, perfect for couples or ladies who would like to have a chat whilst they’re pampered. The Spa at Rudding Park has only recently opened so I have yet to visit (I would love to though!). They have a beautifully serene looking indoor pool, juniper log sauna, spectacular looking steam room, foot spas, an outdoor roof terrace pool and a very modern looking state-of-the-art relaxation room with huge screen (presumably show calming scenes rather than Moana for example!). From their website: A privately owned luxury hotel, Rudding Park has 90 bedrooms, a spa, two restaurants and a kitchen garden, private cinema, two golf courses and conference and events space. Set in 300 acres of landscaped gardens and woodland, Rudding Park is one of the most beautiful Harrogate hotels. Luxury Spa breaks Yorkshire. I haven’t been to the Swinton Country Club and Spa (yet!) but all of the photos I have seen make it look magnificent. It boasts an 18 metre indoor pool, hydrotherapy pool, a classic steam room and aroma steam room as well as a Finnish sauna. From their website: The multi-million pound Swinton Country Club & Spa is a new concept for UK spas. Spacious, contemporary and reflecting every bit of its 20,000-acre environment and Yorkshire heritage: the experience being world class. Relaxing spaces, stunning facilities, inspired dining, outdoor activities and spa treatment expertise ensures a memorable experience for spa days, spa breaks and country club activities. Set in historic Victorian Turkish Baths, Spa 1877 with a choice of two Steam experiences, a classic steam room and an aroma steam room, a state-of-the-art Sauna, cold Plung Pool, Ice Cave and Tropical rain shower. From their website: We’d like to welcome you to our website where you can find out more about our beautiful Victorian Turkish Baths, take a look at our extensive treatment menu and keep up-to-date with everything that’s happening at Spa 1877. The photos of the pool and jacuzzi area look nice at Owston Hall. I haven’t been here, and I must say the website is not terribly inspiring. I suspect the spa is much nicer and that the website undersells it! 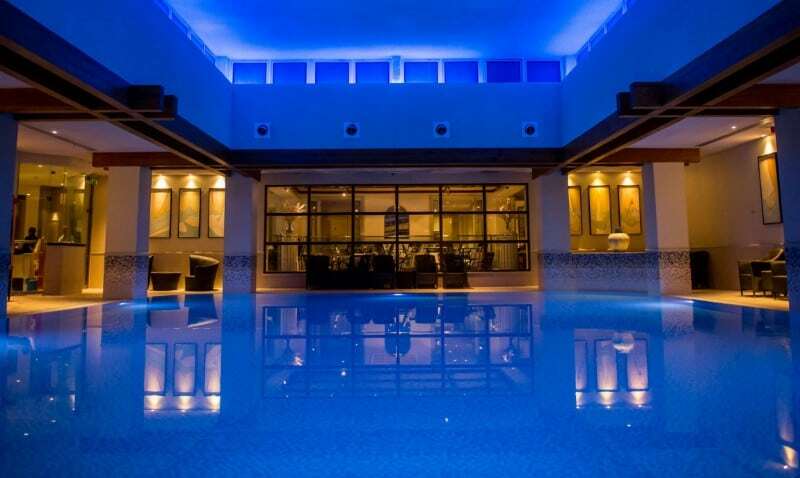 From their website: Built within our luxury hotel are our Leisure Facilities comprising of State of the Art Gym, Swimming Pool, Sauna, Jacuzzi and Steam Room. Whether it’s a vigorous work out your looking for or a tranquil dip in our Jacuzzi then our leisure facilities are perfect for you. The Spa at the Oaks is a little bit of the beaten track, but one I am curious to try. It has its own pool, whirlpool jacuzzi, sauna and steam room. From their website: The relaxing sanctuary of the pool area offers a wide range of facilities to take away your stresses and strains. Why not start with a leisurely dip in our dramatic stainless steel swimming pool. Unwind in the soothing whirlpool then relax in the sauna, steam or aroma rooms. Complete your wind down with a visit to the poolside relaxation room where heated water beds await. 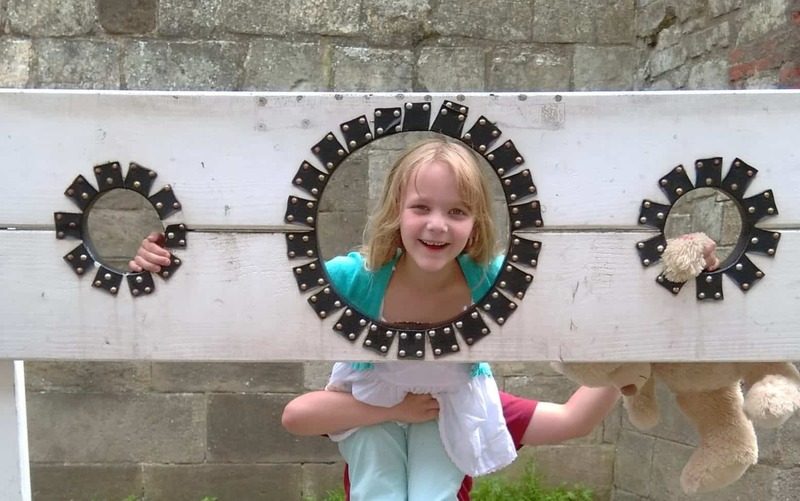 From their website: Discover luxurious beauty treatments, rejuvenating spa experiences and expert hair care in the heart of historic Beverley. Driffield Spa boasts and hydrotherapy pool, saunarium, Rasul chamber, and heat and water suite. From their website: Unwind and get away from all the constraints and pressures with a revitalising residential spa break or self-indulgent day at our luxurious health spa in East Yorkshire. We expect to improve your health, well-being and physical condition by the traditional use of water, heat, massage and treatments. 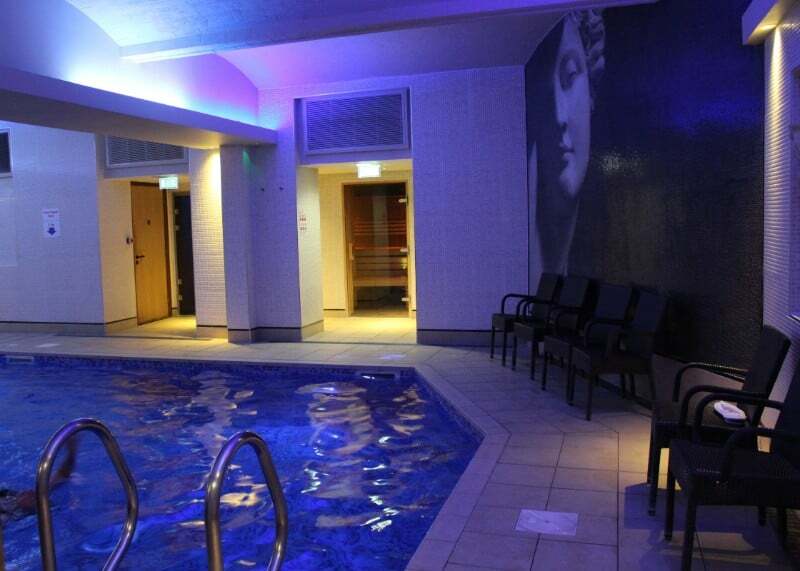 Spa breaks Yorkshire – Titanic Spa does spa breaks as well as spa days. Here you will find their Titanic Heat & Ice Experience, Club Titanic, Salt Regulated Swimming Pool, Hydrozone, Poolside Sauna and Steam Room, Outdoor Hot Tub and Relaxation Lounge. 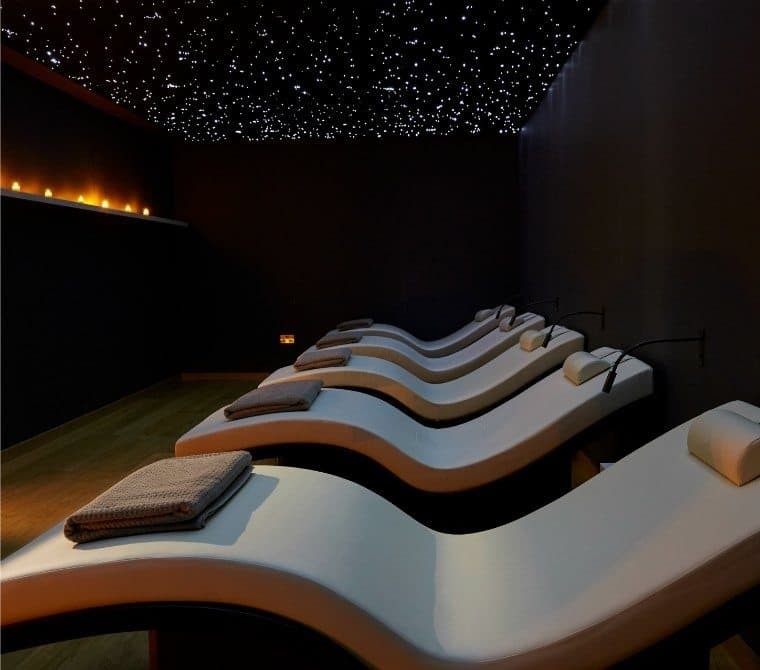 From their website: Situated in the beautiful surroundings of West Yorkshire, Huddersfield, Titanic Spa is at the heart of the UK’s spa and well-being industry. As the first established Eco-Spa in the country, we pride ourselves in maintaining and providing first-class spa treatments for everyone. Thorpe Park Hotel and Spa is located just off the M! on the York side of Leeds. It has an excellent spa with large swimming pool, jacuzzi and sauna a steam. There is lots of seating both inside and out around the pool and the relaxation room is excellent. Don’t be put off by the hotel exterior, it’s definitely worth a visit. See my full review of Thorpe Park Spa here. Oulton Hall Spa is part of the Q Hotels range. With an Indoor swimming pool, Jacuzzi, Sauna and Steam room you will have everything you need. Not as decadent as some of the other spas but you can often get very good offers and cheap deals here. From their website: Situated within the spectacular surrounds of Oulton Hall, the spa facilities within this grand hotel make it one of the finest spas in Yorkshire. Book a spa break today and unwind in this tranquil haven, you won’t be disappointed at what awaits. Located within 15 minutes of Leeds City Centre, the treatments available at Oulton Hall will leave you feeling refreshed and rejuvenated – whether you opt for a traditional facial or a contemporary stone massage. From their website: For a hotel which is set in the most stunning location, Wood Hall’s compact spa is designed to create the perfect space for wellbeing and calm. 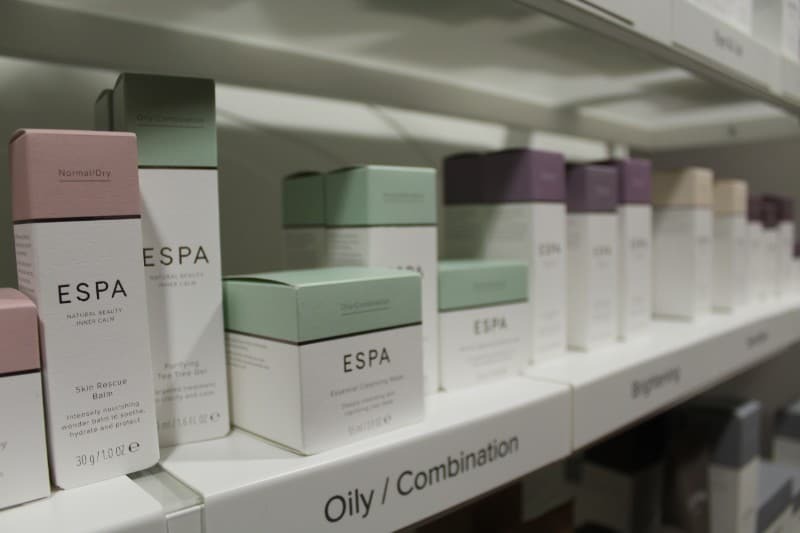 We offer a variety of indulgent Elemis face and body treatments and classic manicures and pedicures, all carried out by our team of therapists. Please let me know where you think the best spas in Yorkshire are?